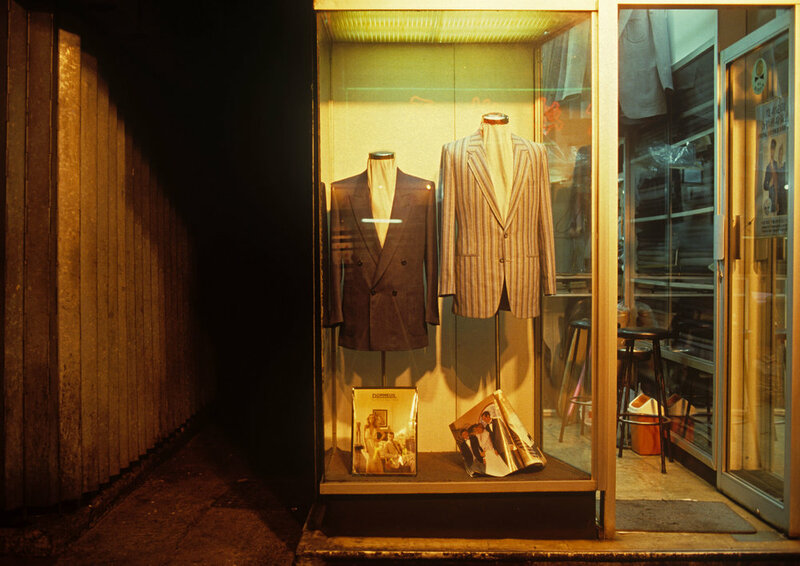 HK:PM is Greg Girard’s ode to nocturnal Hong Kong between 1974 and 1989, the earliest work of the photographer’s long relationship with Asia. A journey exploring the underside of a city he first visited as a teenager in 1974 and and later lived in for 15 years. 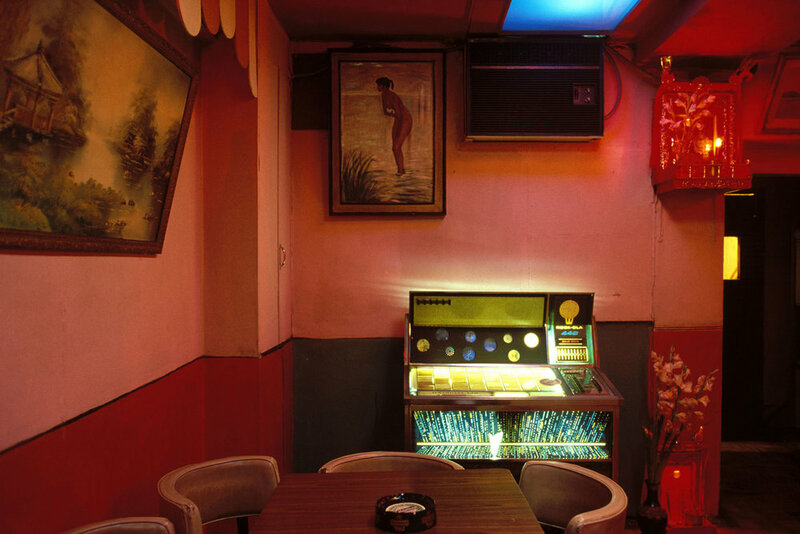 The photographs in HK:PM are imbued with the noir allure and seedy pastels of Hong Kong in its prime. “I started taking photographs at night as soon as I picked up my first camera. I never really thought of them as “night” pictures. It was just a different kind of light, whether neon, fluorescent, moonlight or the light of the city reflected off an overcast sky. 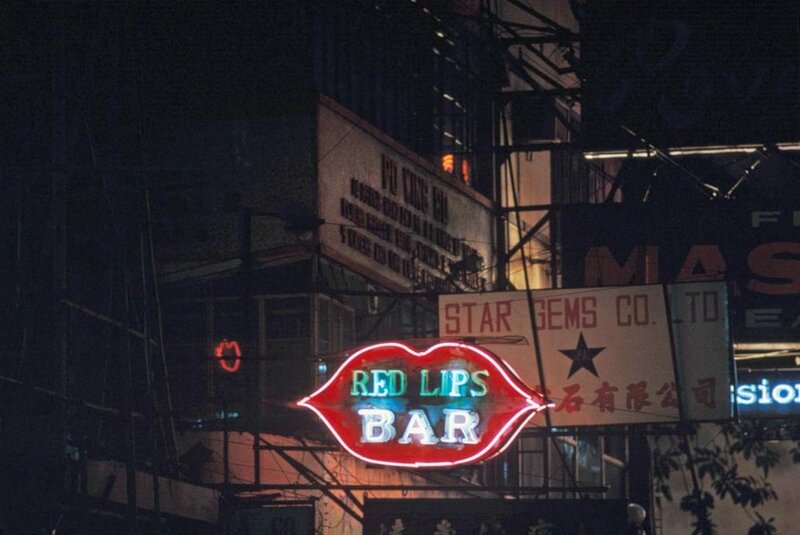 But Hong Kong was alive at night in a way that other places weren’t,” says Girard. Alive indeed, when darkness falls another world comes out to play and these photographs capture just that. Published by Asia One and with a foreword by award winning Hong Kong director Ann Hui, HK:PM adds a missing photographic link to the visual record of Hong Kong in the 1970s and 80s. Prints by Greg Girard available here. 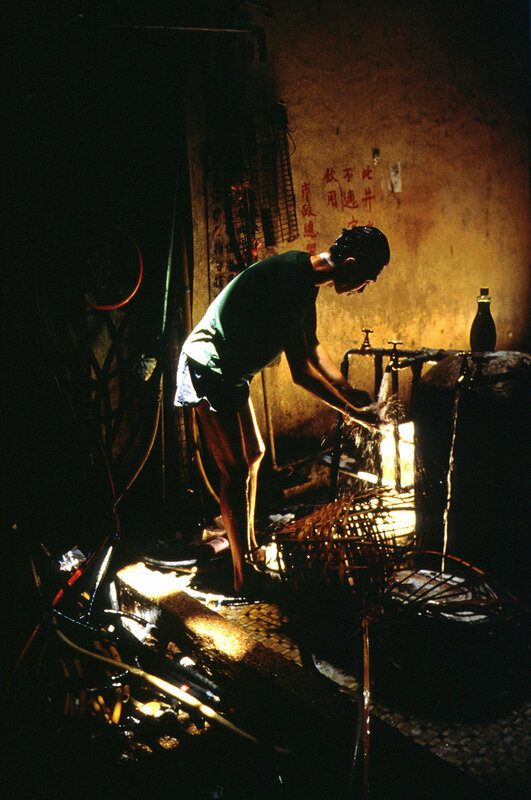 Girard’s first book, City of Darkness – an exploration of Kowloon Walled City, produced in collaboration with architectural photographer Ian Lambot – was published in 1993. 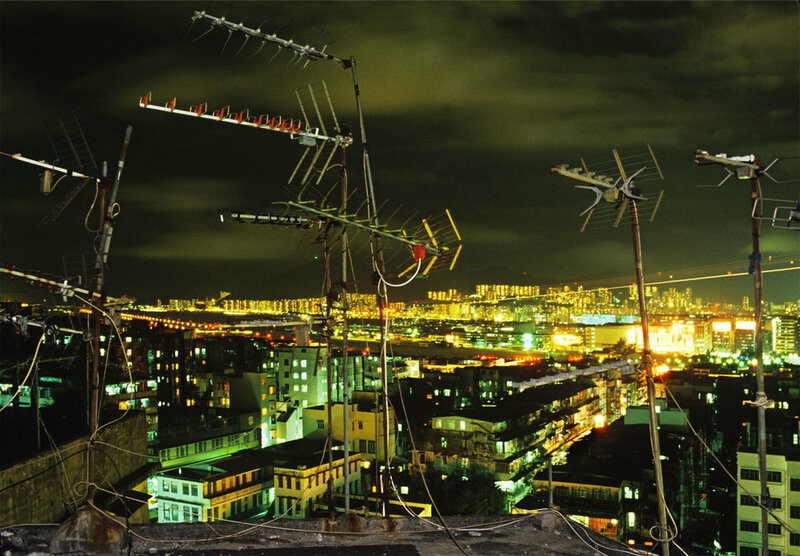 Around 2000, Girard made a conscious shift away from commercial work, and began taking photographs ‘unburdened by the consideration of whether a magazine might be interested in the pictures or not.’ Since then, he has published four books ¬– Phantom Shanghai (2007), Hanoi Calling (2010), In the Near Distance(2010), and City of Darkness Revisited (2014). Girard continues to keep a foot in both worlds, producing editorial assignments for magazines like National Geographic alongside his personal projects. Kominek Books will soon be releasing a second volume of his previously unpublished early work. 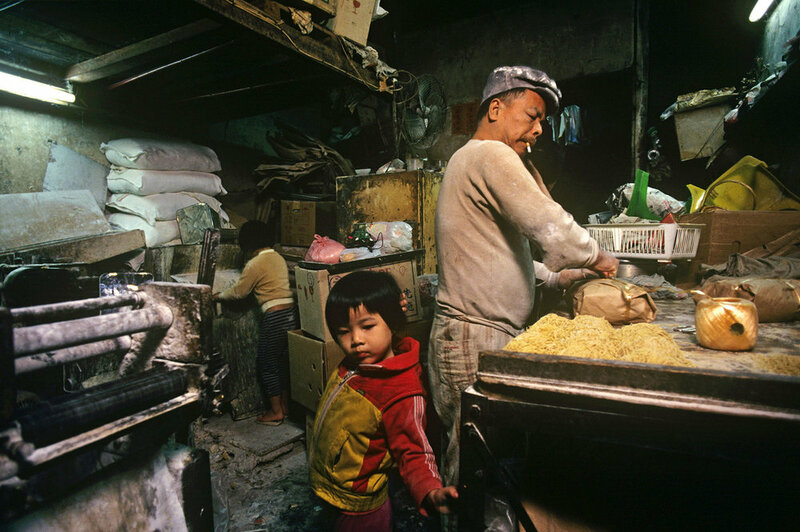 For almost 30 years, Canadian photographer Greg Girard has lived and worked in cities across Asia, witnessing the rapid transformation of a region that has changed almost beyond recognition within the span of a few decades. 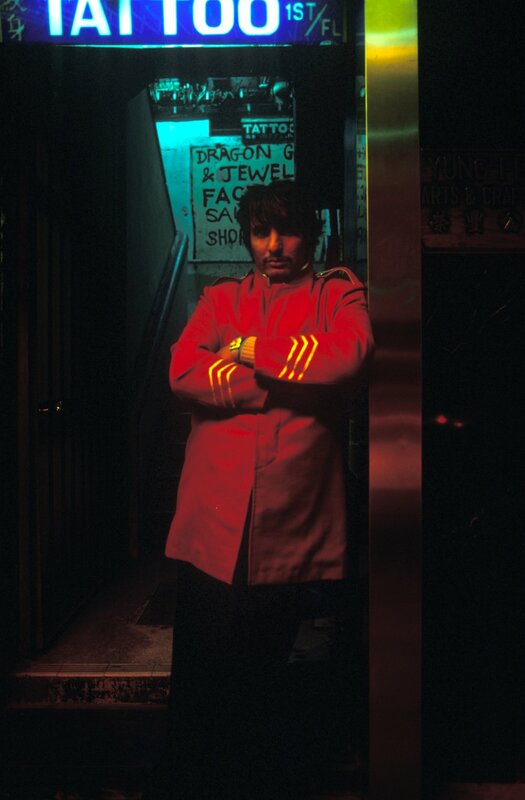 Born and raised in a suburb of Vancouver, Girard began taking photographs as a high school student in the 1970s, spending days and nights in the downtown districts surrounding the port. 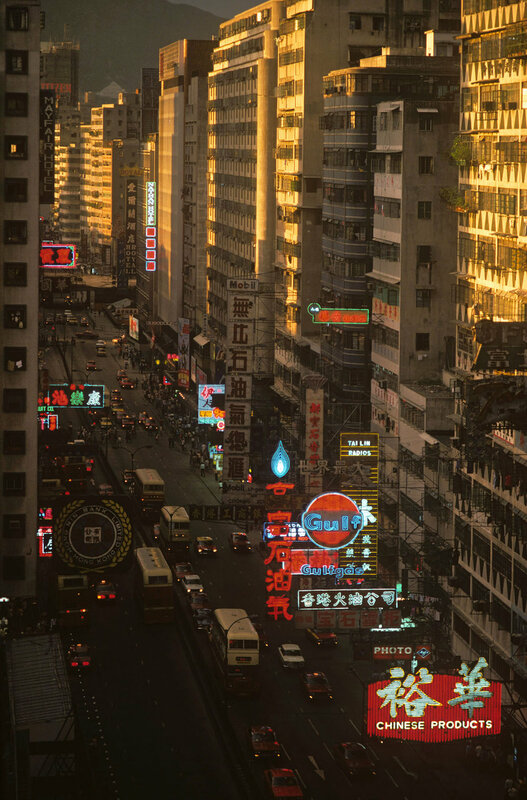 In 1974, Girard first travelled to Hong Kong, where he later settled and found work first as a sound recordist for the BBC, and then as a freelance photographer. From 1987 until around 2005, Girard produced editorial work for publications such as Time, Newsweek, Fortune, Forbes, Elle, Paris-Match, Stern, and New York Times Magazine. 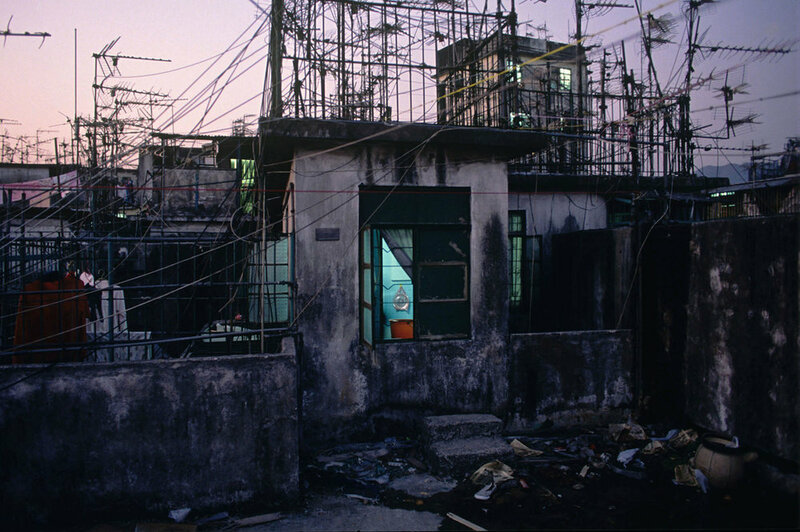 Eight 8 x 10 inch archival pigment prints of the Kowloon Walled City by Greg Girard, packaged in a heavyweight card box, in a limited edition of 50 sets, numbered and signed. I first visited Hong Kong in 1974. 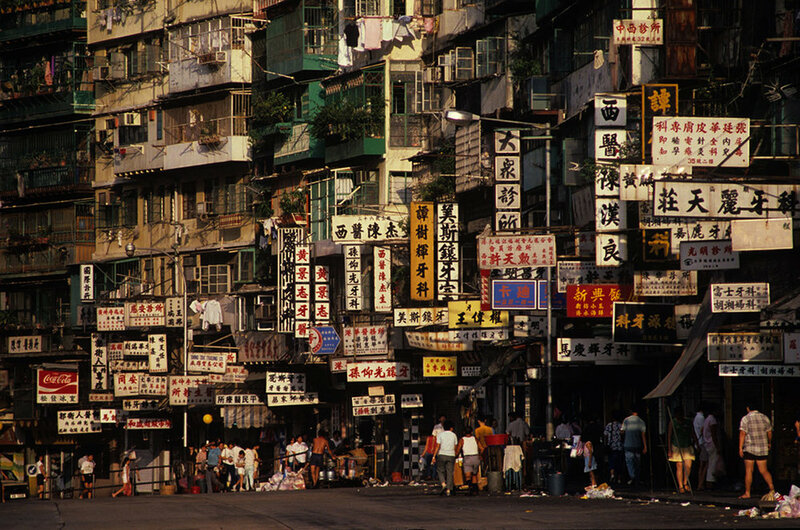 I heard stories about the Kowloon Walled City on that visit but it wasn’t until I moved to Hong Kong years later that I saw the Walled City for myself. 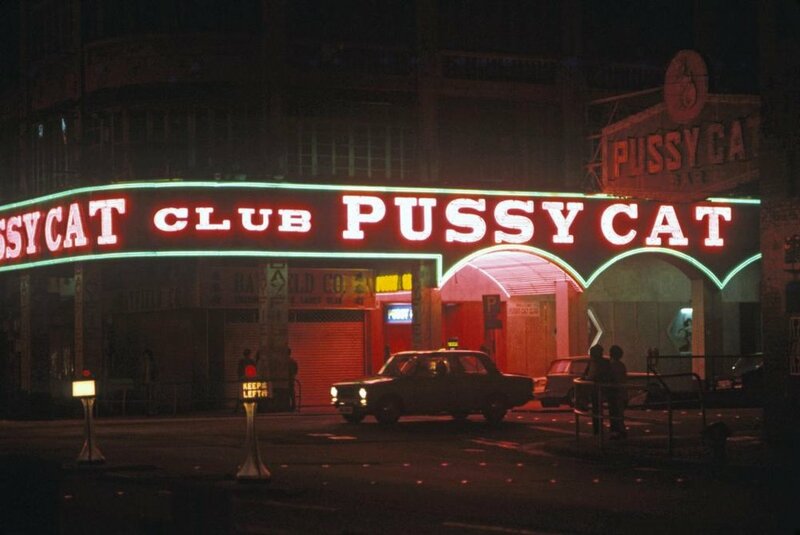 I came across it one night in 1986 when photographing near Hong Kong’s old international airport, Kai Tak. At that time the Walled City was partially surrounded by a two-story squatter village, and to enter the City you had to make your way past the hostile stares of village residents. At night the massive 12- and 14-storey facade glowed from the interior lighting of hundreds of apartments, and hummed to the sound of air conditioners and fans and television sets tuned to evening programmes. 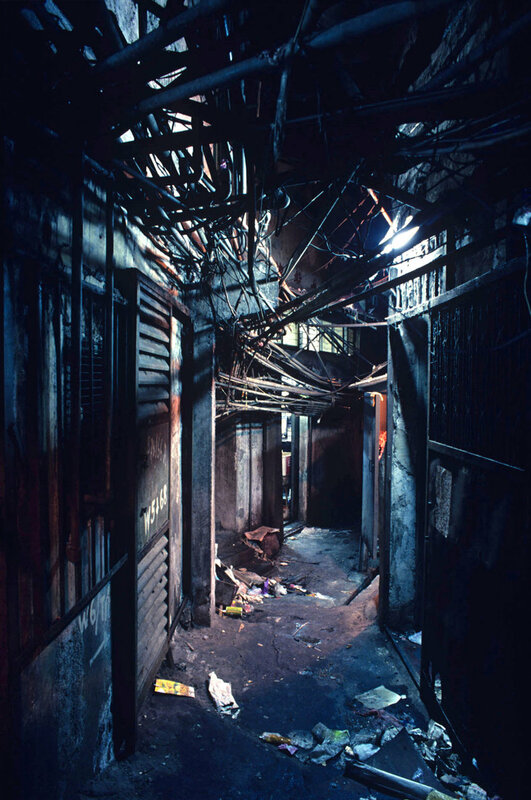 Once inside the first thing you noticed was the tangled overhead electrical wiring and plastic water tubing, and the narrowness of the ‘streets’ – alleys formed in the spaces between buildings. 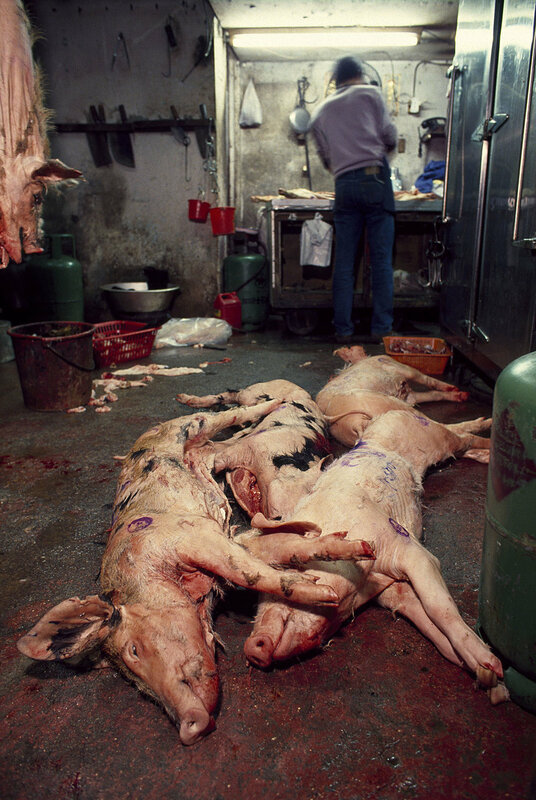 Nothing I had heard about the place was any help to process the information my eyes, ears and nose were delivering. In modern Hong Kong this place was something from a parallel universe. I wasn’t able to make any photographs on that first visit, but soon returned and started trying to make sense of the place, gradually gaining the trust, or at least the indifference, of residents. I was introduced to Ian during this time, intrigued to learn that someone else was interested in photographing the Walled City. And we ended up collaborating on the book City of Darkness: Life in Kowloon Walled City. In retrospect it seems astonishing that the Walled City didn’t attract more attention – from photographers, film-makers, architects – while it was still standing. 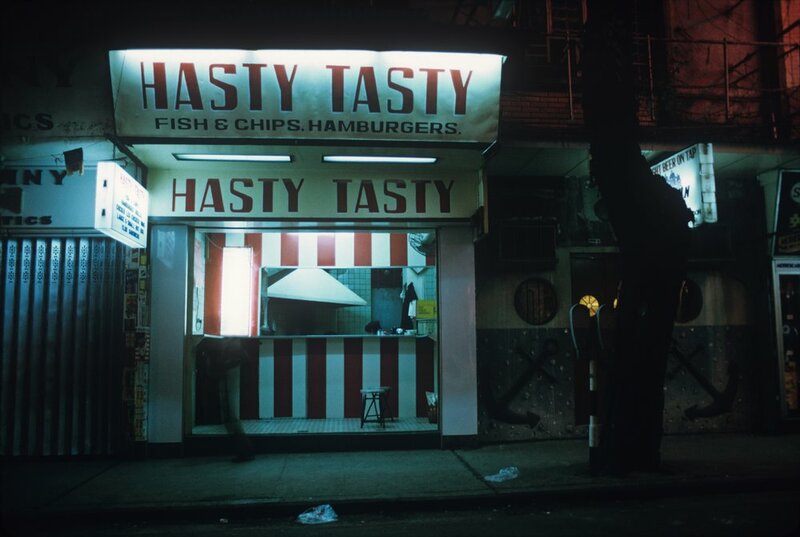 And in our new book, City of Darkness Revisited, we go to some length to register the attention it has received and the influence it has generated since its demolition in 1993. I am sometimes asked whether I think the Walled City should have been preserved. Years ago I usually said that it would have been impossible – preserving it would probably change it into something else or, if kept as it was, it would be unfair to expect people to tolerate those grim conditions. Recently though I’ve started to wonder where a conversation about it all might lead. After several failed attempts, Kowloon Walled City was finally demolished 20 years ago, leaving behind a legacy of fascination that continues to grow, fuelled in part by the extraordinary communitys many urban legends. Designed and edited by Greg Girard and Ian Lambot, the team behind City of Darkness: Life in Kowloon Walled City, this new publication questions those myths and explores the reality behind the Walled Citys extraordinary architecture and development. Through photographs, drawings and documents, many previously unpublished, plus an extended article by Hong Kong-based writer and journalist Fionnuala McHugh, the full story is revealed. If you wish to receive Greg Girard’s e-catalogue, please complete the form below and we will revert real soon.